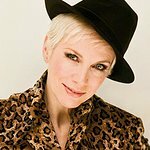 Annie Lennox is set to present a BBC Radio 4 Appeal for homelessness charity Shelter. Each month the BBC highlights the work of a chosen charity in their Radio 4 Appeal. And, on Sunday 5 June, it is the turn of Shelter, with their appeal set to be broadcast at 7:55am and 9:26pm. Annie will tell the personal story of Louise and her family. Homeless, they spent over a year sleeping on people’s sofas and living in one room at a B&B. That is until they turned to Shelter, and thanks to the charity’s support, they have been able to find a safe place to call home.